Going abroad can be an extremely rewarding opportunity that can help develop your international skills and connections in today’s global marketplace. Find out how to apply for a work permit at International Experience Canada depending on which country you would like to visit. For current information on work permits and visas, visit GoinGlobal. MyWorldAbroad offers international career advice for students and young professionals. Receive FREE access when you register with your Carleton email! Visit GoinGlobal for country-specific information on job searching and cultural norms. Carleton’s International Student Service Office (ISSO) organizes the international student Exchange program (located in 128 University Centre). AIESIC in Canada is an international student-run leadership organization which includes volunteer, internship and on-campus opportunities. 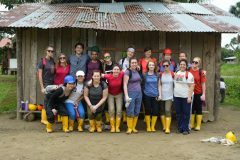 Charity Village is a Canadian job and volunteer posting site which includes an in-depth listing of NGOs doing international development work. Check out SWAP Working Holidays, a not-for-profit organization that promotes cultural exchange opportunities to Canadians. Participating in an international internship can be an excellent way to gain experience in the field while incorporating what you have learned into your academic studies. Placing yourself outside of the classroom can allow you to really test drive the types of work you like to do and perhaps what interests you the most on a global front. Most international internships are unpaid, however some offer monthly stipends or grants to help cover the costs of your experience. A traditional internship should allow for you to receive academic credit for your experience. Ensure you contact your department to explore your options for academic credit before committing to an international internship placement. Want a head start on your research? Check out the following organizations for an idea of the types of partnerships Carleton has for international internship opportunities. You may also contact Sarah Sabourin, Internship & Global Partnership Coordinator for more information on internship opportunities. Teaching English as a second language abroad can be a very rewarding experience. It can also be a great way to test out your interest in teaching, or strengthen your applications for teachers college. The amount of education and experience required, and salaries, varies significantly by country. Often, a university degree and/or TESL certification is required, along with at least a 1 year commitment. Volun-tourism can be a wonderful introduction to your international journey, especially if you don’t have a lot of international experience yet. These are usually short-term, travel experiences that incorporate an element of community service within local communities. Typically paid for out-of-pocket or through fundraising. 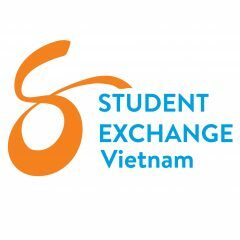 Carleton’s Student Experience Office offers the Alternative Spring Break (ASB) program, featuring international community-service learning trips. For more information on the ASB program click here.